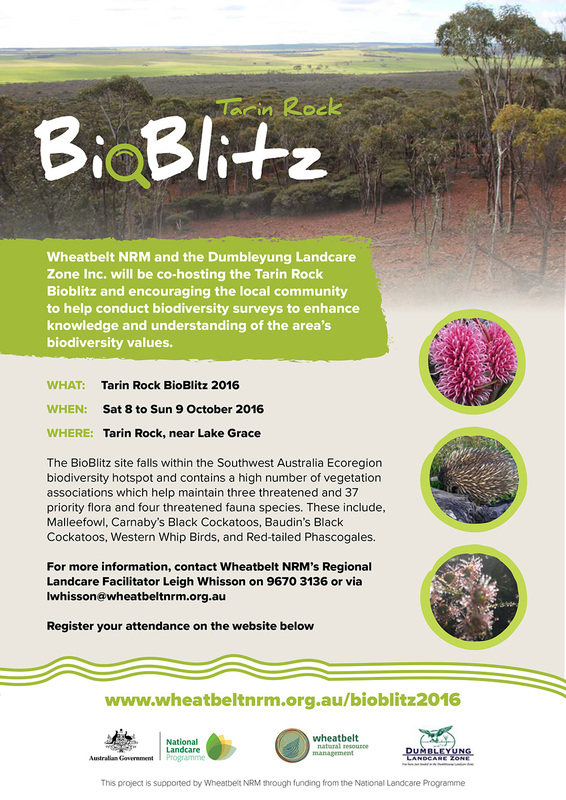 Tarin Rock BioBlitz Site is Looking Great! With only three weeks to go until the Tarin Rock BioBlitz near Lake Grace, we popped out to see how the site is going and what creatures are out and about. Leigh Whisson (Regional Landcare Facilitator) said that the breadth of wildflowers he saw out there is wonderful and will be a boon for nature photographers. While the weather was a bit cold and wet for birds when he visited, Leigh is sure things will have warmed up by October when the event runs. Warmer weather will also mean more active reptiles! We are still seeking Volunteer Team Leaders, particularly bird and reptile experts. If this sounds like you, please contact Kelly or Chris to find out more on (08) 9670 3100.